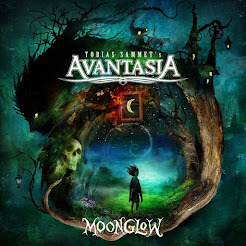 Rock & Metal 4 You: Album/Song of the year 2012 - # 07! Number 7: H.E.A.T. - "Address The Nation"
That was a very early release this year, but it is still one of the highlights in 2012. This album is pure ear candy for Melodic Rock/AOR - lovers. It offers a very clear production and great guitar work. Close your eyes and just listen to it ... I'll promise you, your mind suddenly wakes up at the Sunset Strip in the late 80's. It's so amazing to see so many young bands playing this style of music again nowadays. 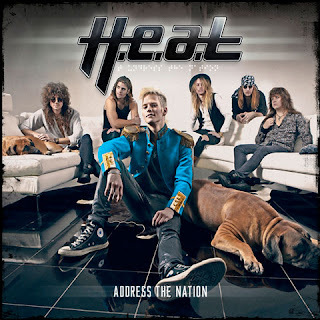 It's a great comeback for 80's melodic rock and "Adress The Nation" is one of the best releases, which celebrate this. The third album is always the "make it or break it"-record? H.e.a.t. definitely made it! Number 7: ELVENKING - "Forget Me Not"
After some really good rockers it's time for a very beautiful power-ballad with folk elements and great vocal performances. In some way this song reminds me at the power-ballads in the early 90's. Great atmosphere, great song! Come back tomorrow to see who reached position # 06!